Bowdoin College will cover tuition for slain New York City cop’s son. 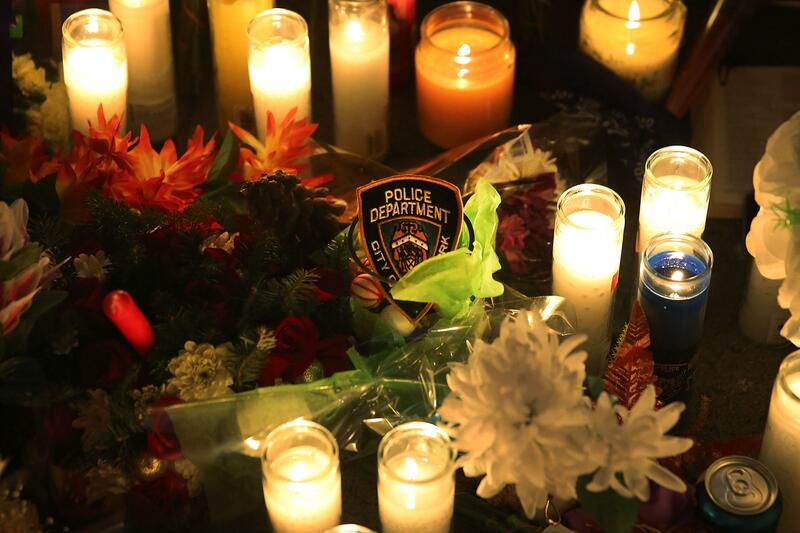 A badge is placed among candles and flowers at a makeshift memorial for slain police officers. Bowdoin College announced on Monday it had waived the tuition of sophomore Justin Ramos, the son of Rafael Ramos, one of the New York City police officers shot and killed while sitting in their squad car in Brooklyn on Saturday. The Maine college said it would provide Ramos full financial aid to complete his education. Room and board at the small liberal arts college runs around $60,000 a year. The Yankee Silver Shield Foundation, a charity started by late Yankees owner George Steinbrenner to help the children of first responders in New York City get an education, said it would pay for the remainder of Justin Ramos and his 13-year-old younger brother’s educations. Bowdoin College told the Ramos family over the weekend, however, the school would cover the cost of attendance. The other officer killed during the ambush, Wenjian Liu, did not have any children.